Johnson & Johnson’s motion to delay trial in hundreds of talc-based ovarian cancer cases pending in the 22nd Circuit Court of Missouri was recently denied by appellate Judge Angela T. Quigless. Johnson & Johnson, manufacturer and marketer of numerous talc-containing hygiene products, argued that jurisdiction was not proper because a majority of the 1,350 plaintiffs who filed suit were not residents of Missouri. It also argued that the trials should be delayed. Judge Quigless denied the motion in a one-page order on January 3, 2017. The plaintiffs’ cases will therefore proceed to trial in Missouri. The plaintiffs claim that talc-containing products manufactured by Johnson & Johnson, such as Johnson’s Baby Powder and Shower to Shower, caused them to develop ovarian cancer. Their attorneys allege that Johnson & Johnson knew its products caused ovarian cancer, but failed to provide warning labels or otherwise discontinue the use of talc in its products. This cluster of cases in Missouri is one of many pending in state and federal courts throughout the United States. 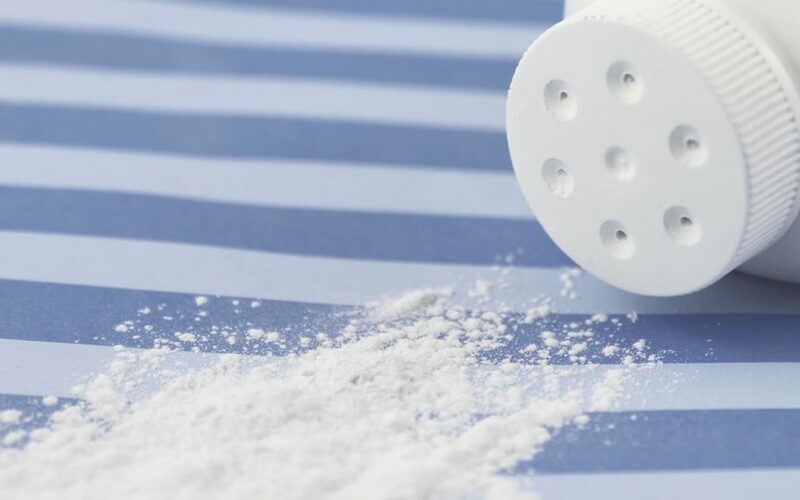 Numerous manufacturers and sellers of talc-based products are finding themselves accused of conspiring to suppress information about the dangers of their products or acting negligently in failing to warn consumers. The attorneys at CMBG3 Law LLC have represented clients in talc, products liability, and toxic tort matters for many years. We provide the most current advice by staying informed of legal, scientific and medical developments regarding a wide variety of substances and products, including talc-containing products, used by consumers every day. If you have any questions or would like more information, please contact Nicholas J. Blei (email him or 617-936-4353, ext. 208) or Jeniffer A.P. Carson (email her or 617-936-4353, ext. 201).